In today's complex world, people are exposed to multiple chemicals in the environment, the workplace, and their homes. 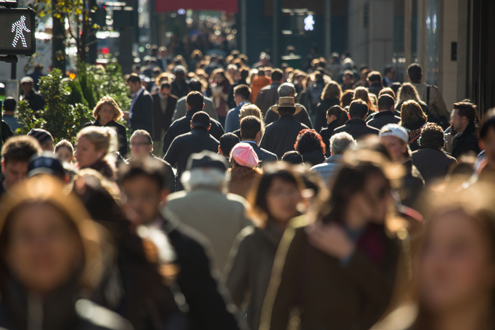 Epidemiology, the study of the distribution and determinants of disease in human populations, relies on biostatistical analysis to investigate whether these exposures are linked to disease. Gradient brings extensive technical expertise to the evaluation of epidemiologic evidence. We combine our knowledge of epidemiology analyses with our expertise in toxicology and exposure assessment to develop robust, multiperspective risk assessments. In addition, our scientists can communicate epidemiology data clearly to community members, scientists, legislators, and juries. Goodman, JE; Peterson, MK; Bailey, LA; Kerper, LE; Dodge, DG. 2014. "Electricians' Chrysotile Asbestos Exposure from Electrical Products and Risks of Mesothelioma and Lung Cancer." Reg. Tox. Pharmacol. 68(1):8-15. Rhomberg, LR; Chandalia, JK; Long, CM; Goodman, JE. 2011. "Measurement Error in Environmental Epidemiology and the Shape of Exposure-Response Curves." Crit. Rev. Toxicol. 41(8):651-671. In response to citizens' concerns, Gradient investigated the incidence rate of several cancers in residents living near a municipal landfill to determine whether it was elevated relative to rates in the general population. We described the findings to city officials and residents at public meetings. Gradient modeled chlorinated solvents exposure from drinking water and showering, and we used questionnaire data on disease status and other population characteristics to assess the association between exposures and disease rates in a community living near a Superfund site. Gradient conducted a meta-analysis and meta-regression of data on airway hyper responsiveness from clinical studies of asthmatic volunteers exposed to NO2 while exercising or at rest. Gradient analyzed the statistical basis for a dose-response relationship between blood lead and neurocognitive impairment. We evaluated the extent to which the relationship could be ascribed to the statistical elements of the modeling or was indicative of the underlying relationship between the two parameters. Gradient conducted a weight-of-evidence evaluation of the association between ozone exposure and cardiovascular effects. We developed and applied a methodological framework to review epidemiology, toxicity, and mechanistic literature to determine whether there was sufficient evidence of a causal association. To what chemicals are people exposed? Is exposure sufficient to cause disease? Are disease clusters statistically significant? What are the effects of multiple chemical agents? Gradient projects have explored answers to these and many similar questions.